ARNOTT'S classic Shapes have undergone a big makeover - with a new flavour that also brings a new distinct Aussie shape. 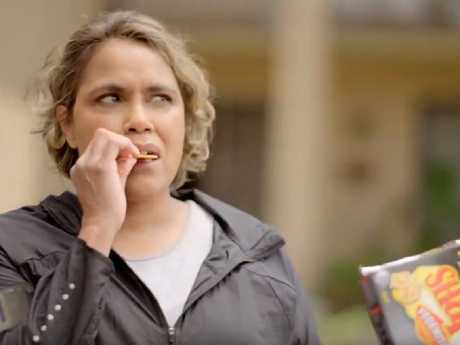 The iconic biscuit company has released a new snack for fans - Vegemite and Cheese, using a list of five Australian legends in a TV advertisement including Olympic gold medallist, Cathy Freeman, former Australian cricketer, Glenn McGrath, comedian Shane Jacobson and swimming Olympic gold winner, Giaan Rooney. Seven's sport broadcaster Bruce McAvaney provides the voiceover for the TV ad. But don't expect the cracker to just be another hexagon-shaped treat. The cracker is being baked in the shape of the Australian continent. The packaging of the new flavour is also black, to reflect the colour of Vegemite being used. 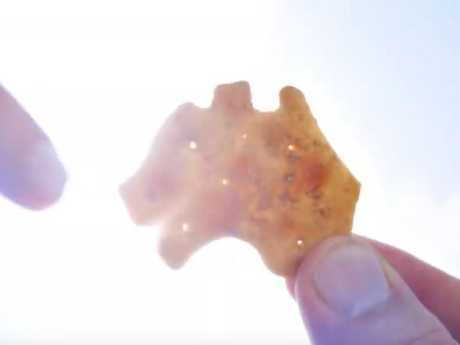 The new shape might have consumers asking where Tasmania is on the biscuit. Arnott's have also pre-empted any criticism of leaving Tasmania off its design by putting a lighthearted message on its website that explained why it has been left off. It stated: "Tassie, we're not over it. Our break up that is. 10,000 ish years ago, you decided to part ways with the rest of our country which really hurt, 'cause you're just so naturally abundant and beautiful!" The statement went on to say: "Here at Arnott's, we believe in real connections, and while we literally tried to keep you connected, we just got the feeling you're not quite ready to come back to us*. Call us. It's not you, it's us. 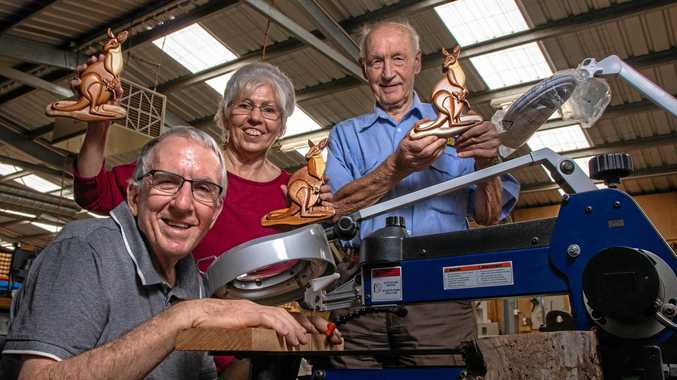 (*Okay … and maybe it has a lot to do with biscuit moulds which don't deal so well with island states … and instead of reducing Tassie to a few crumbs, we've decided to leave this beautiful island untouched.)" 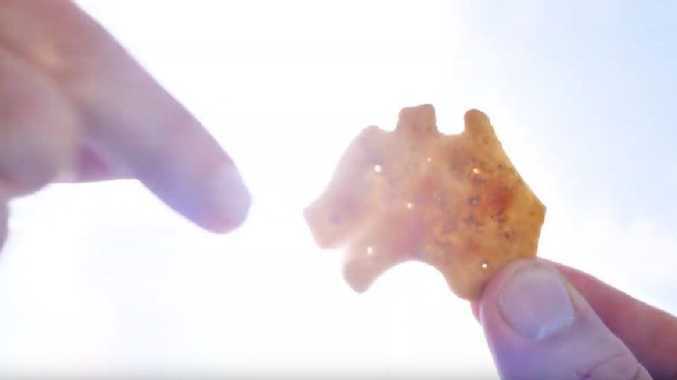 In a statement to News Corp Australia, Arnott's Brand Manager Shannon Wright said the new "new legendary Shapes flavour" compliments both brands. 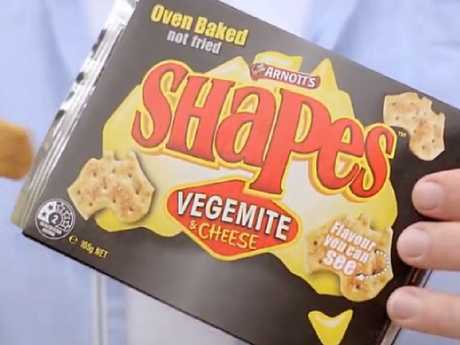 "We believe the flavour pairing between Shapes and Vegemite are made for each other - and it's a little baffling that we didn't partner up before!," she said. 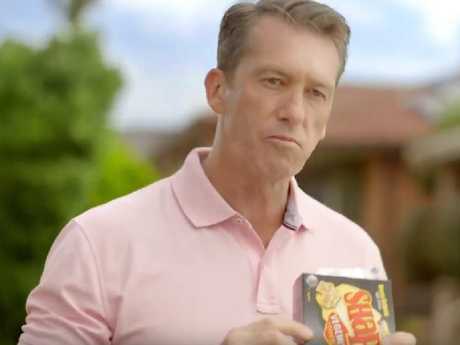 "These two Aussie snacking legends just go hand-in-hand and are a delicious choice, just in time for summer entertaining." Vegemite Marketing Manager Matt Gray said in the statement that they loved innovating the way consumers experience Vegemite. "Our iconic Vegemite has been fuelling generations of Aussie families for over 95 years and we love being a part of new innovations that show how extremely versatile our spread really is!," he said. The new cracker flavour comes after Arnott's US owner, Campbell Soup put Arnott's up for sale 21 years after it bought the Australian company in August this year. Campbell said the decision to sell its international unit, which includes Arnott's, would help cut costs and pay down debt. Arnott's products are manufactured in Australia despite having a foreign owner. Vegemite returned to Australian ownership in 2017 after dairy company Bega bought it back through the acquisition of the Mondelez grocery business. The new flavour is available for a limited time across major supermarkets in Australia.